Thanks to Will Overton for joining us last week for Pitch to Publisher night! Congratulations to the following members who had their songs taken at Online Pitch this past Tuesday!! Thank you Jennifer Duke for joining us! Mark your calendars for upcoming Online Pitch Events. February 1- February 29 “Recommended” Songs Considered for P2P Luncheon. Congratulations to the writers below who had songs recommended between February 1st and February 29th for consideration for our Publisher Luncheon. These were submitted to the Song Evaluation Service and were recommended by the NSAI Evaluators who reviewed them. March 1- March 31 “Recommended” Songs Considered for P2P Luncheon. Congratulations to the writers below who had songs recommended between March 1st and March 31st for consideration for our Publisher Luncheon. These were submitted to the Song Evaluation Service and were recommended by the NSAI Evaluators who reviewed them. Congratulations to the writers below who had songs recommended between April 1st and April 30th for consideration for our Publisher Luncheon. These were submitted to the Song Evaluation Service and were recommended by the NSAI Evaluators who reviewed them. As an NSAI Member, you have access to several in-person and online services.Below you'll find updated information on Mentoring Sessions and Writing Rooms, and the proper etiquette for booking these sessions. NSAI sponsor, Music Starts Here had their launch party last week at InDo Nashville! Congrats on a fabulous party and thanks for having us a part of your business journey! 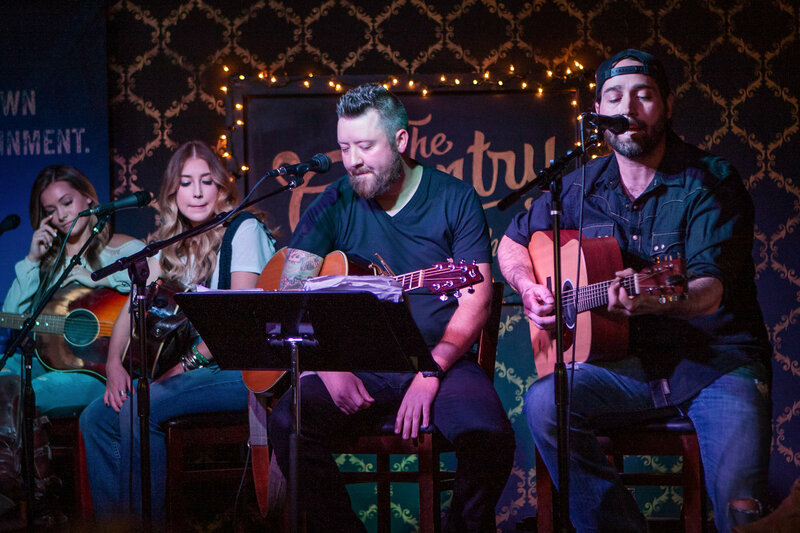 The Toronto Chapter of the Nashville Songwriters Association International (NSAI) hosted their seventeenth annual up-close and personal songwriters’ event, May 26 – 28, at various venues throughout the Greater Toronto Area (GTA). They had performances over 50 talented songwriters, sharing their stories behind the songs. Headliners include; Benita Hill , Gil Grand, Amy Sky, Marie Bottrell, Jamie Warren, Steve Wilkinson (of The Wilkinsons) and Small Town Pistols (also of The Wilkinsons). We're excited to announce our first video series, NSAI Presents: Coffee Break, LIVE on Facebook and Periscope, June 15th at 11:30AM CT. We'll be talking with Jeff Cohen about his experience as a songwriter for music, film/TV and producing artists in multiple genres. We will finish out with a Q&A with the audience, so be sure to tune in and comment with any questions you have for Jeff! Follow NSAI on Facebook and Periscope (@NSAIOfficial). Barry Dean calls NSAI Song Camp a "rare opportunity"
"I don’t know why a new writer wouldn’t do Song Camp. It was my first step into the Nashville community. You learn from incredible pro writers, you meet other people on the same journey, and you get real feedback on what you’re doing. 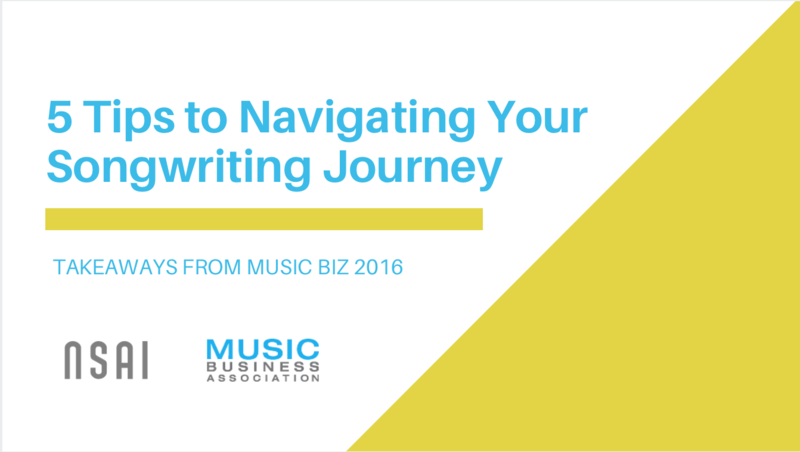 It serves as an orientation toward life as a writer. Honestly, it's such a rare opportunity to have this many pro’s available to speak, teach, and give feedback so freely. It jumpstarted my writing. I was from out of town and it really provided a glimpse into my future that couldn’t have happened any other way.